Total Score: 8.08 - BEST VALUE AWARD! 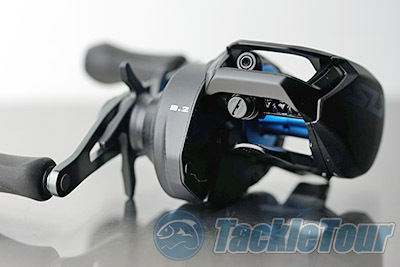 Introduction: The battle for sub 100 dollar baitcasters just got a lot hotter with the introduction of Shimano�s SLX reel. 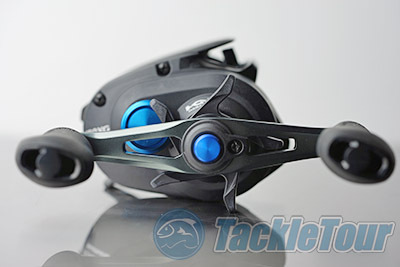 While Shimano is best known for their higher-end reels over the last few seasons competitors have continued to gain ground in the hotly contested value-mainstream segment. Shimano�s latest foray, the SLX, looks to be a real contender by returning to an aluminum based frame with a more compact profile, upping the ante in both refinement and performance. Impressions: The SLX has been available to anglers since this past ICAST, and over the last half year has become a popular reel at the $99 dollar price point. There was a time when a hundred dollars would have been considered a �mainstream� offering, but today this now straddles the line between value and mainstream, a tough segment for any product, as consumer expectations are often higher than the price point normally allows. Over the last decade baitcasters have improved by magnitudes, perhaps more than any other type of reel, becoming more affordable, delivering features once found only in higher end offerings, and boasting much improved ergonomics over their predecessors. To remain competitive in price many manufacturers have transitioned to graphite and composite frames to hit this price point, and while these reels are certainly lighter, they often left much to be desired in terms of rigidity, cranking power, and overall refinement. The Shimano SLX looks to buck that trend, first with use of a Hagane body (aluminum based), which provides a more solid platform and enables the design of a more compact frame which bears similar styling as the company�s more recent reel introductions, including the Curado 200K. In terms of performance the reel is designed to be an everyday workhorse, making use of a durable brass main gear, providing an aluminum long handle, and the selection of the proven Variable Brake System (VBS) for cast management. 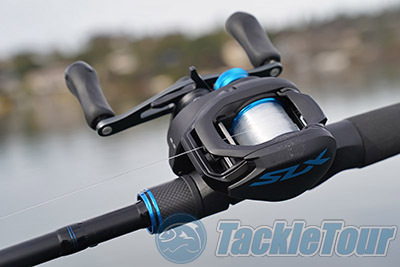 In terms of styling the SLX doesn�t really break new ground for the company, but it does look attractive, and that it belongs in the same family of baitcasters. The reel features a clean and modern matte black finish, and a few bright blue anodized components help give the reel a distinct character. The boldest styling element is the oversized �SLX� logo screen printed on the non-handle sideplate, a proper introduction to anglers for the series. 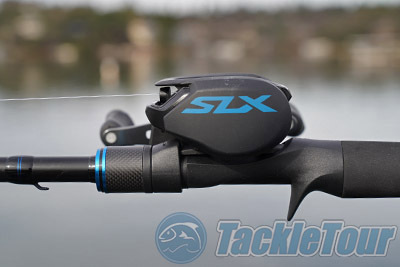 While the SLX series may be new for anglers, fans of Shimano�s biking components will immediately recognize the name and logo, and SLX cycling components are designed to target the mid-range cycling market. The new SLX baitcaster is designed to do the same for anglers, by providing a solid, versatile, and affordable everyday workhorse option. 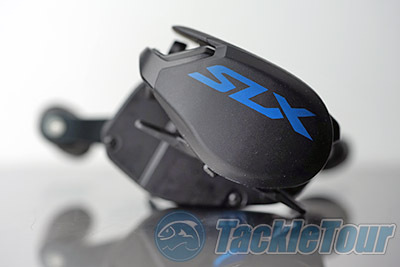 Real World Tests: My first experience with the SLX baitcaster was back in July 2018, two weeks before the official introduction at ICAST 2018. The reel that I fished was a first run sample that Dan �Bantam1� Thornburn showed us prior to the event. 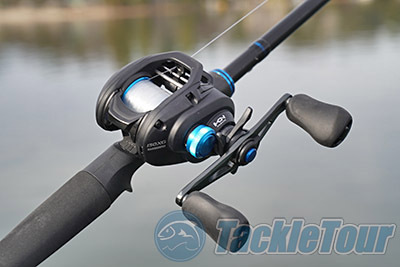 Since then I have purchased a mass production reel from Tackle Warehouse, and have been fishing it over the last six months paired with a variety of rods including offerings from G.Loomis, Favorite, and Shimano�s own matching SLX Series. Next Section: Casting performance on a budget?